Returning Home by Toni Shiloh is the most delightful Christian romance. It is the first book in the Freedom Lake series and I cannot wait for the rest. Past events have the power to cause bitterness to grow and root. The answer is to forgive. Forgive all those past hurts that rob us of present joy. There is the theme of trust. God longs for us to return to Him and trust Him. “Lord forgive my silence.” We can trust Him at all times. “You don’t have to worry. God’s got this.” Worry is linked to fear. Fear is the opposite of faith. If we have faith and trust God, we need not fear. Finding Love by Toni Shiloh is a delightful contemporary romance which I loved. 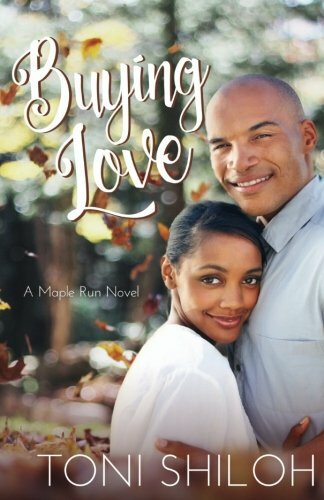 It is the second book in the Maple Run series but can be read as a stand-alone. 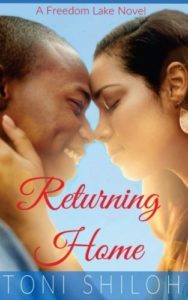 Finding Love focuses on new beginnings and second chances. With God, we can all have new beginnings. We need to trust Him and His word. Having faith is a major theme. We need faith in ourselves and in God. We can always trust God’s Hands when we give Him our lives. Prayer is powerful. It is building a relationship with God. At times, all we can do is pray. We need to be sure we are talking to God and not at God. We need to be sure to listen for His answers. 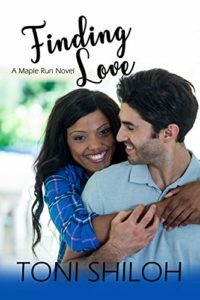 Buying Love by Toni Shiloh is a contemporary Christian romance and the first book in the Maple Run series. It was a most delightful read. The book concentrates on the twin themes of family and belonging. We all want someone to love us. Family does not have to be the traditional nuclear family, family is the people who know us and love us. For those who know God, family is the family of God and we are all loved by Him. Searching to belong can be a powerful motivating force. We need to hand the driver’s seat of our lives over to God as His plans for us are perfect. God is our perfect Father. For those who have not known earthly fathers or who have not had good role models, it is almost impossible to comprehend how long and how wide and how deep is the love of God for us.